When you have braces, cleaning your teeth properly becomes even more important than before you had braces. Fortunately, brushing your teeth with braces is easy…it just requires a little patience! AcceleDent is an orthodontic device that can accelerate your orthodontic treatment process by as much as 50%. So, is AcceleDent really safe? 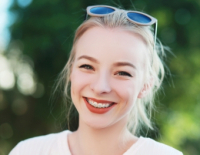 Although there are many different types of braces available, traditional metal braces are still the what most people think of when they picture braces. Today, our Surrey orthodontists talk a little about these classic orthodontic appliances. If you have crooked or uneven teeth, they may make you feel embarrassed or insecure. But for many people, the solution – braces – can cause confidence issues, too. Here are a few tips for feeling confident when wearing braces.